Mr Willers worked as a director at Mr Gubay’s leisure company (Langstone) from 1986 until he was dismissed in 2009. Prior to this, Langstone had funded and indemnified a prosecution against the former directors of Aqua Design and Play Limited for wrongful trading, but the action was abandoned shortly before trial, leaving Langstone liable to Aqua’s costs. In 2010, Langstone then sued Mr Willers for alleged breach of contractual and fiduciary duties in pursuing the action against Aqua. Mr Willers argued that he simply been acting in accordance with Mr Gubay’s directions and, in March 2013, Langstone abandoned its claim against Mr Willers and was ordered to pay his costs. Mr Willers subsequently brought an action against Mr Gubay, who he alleged was pursuing a personal vendetta against him, for malicious prosecution. 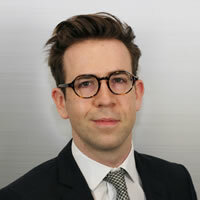 The issue before the Supreme Court was whether a claim for malicious prosecution, traditionally brought in relation to criminal proceedings, could be brought in relation to civil proceedings brought by one individual against another. The High Court had ruled that such a claim could not be brought. The appeal was granted a ‘leapfrog certificate’ by the High Court judge and consequently found its way to the Supreme Court without being heard in the Court of Appeal. For further detail about the High Court decision, please refer to our Case Preview. This case also required the court to consider the precedential status of decisions of the Judicial Committee of the Privy Council, which was dealt with by way of a separate judgment ( UKSC 44). The court allowed Mr Willers’ appeal by a majority of 5 to 4, with the consequence that his claim for malicious prosecution in civil proceedings is actionable and will now be allowed to go to a full trial. Lord Toulson gave the leading judgment on behalf of the majority, with Lord Clarke giving a separate concurring judgment. Lords Neuberger, Mance, Sumption and Reed each gave a separate dissenting judgment. Lord Neuberger’s dissenting judgment listed twelve reasons why, in his view, the tort should not extend to civil proceedings between private individuals (paragraphs 157 to 169). Chiefly, these were that it would be inconsistent with the principle that there is no duty of care owed between litigants, the principle that witnesses are immune from civil liability, that it would create a danger of ‘satellite’ litigation and that it may also have a ‘chilling effect’ on the bringing of civil proceedings. Lord Mance reiterated that there is no duty of care owed between litigants and Lord Reed urged caution against “the interpretation of law reports from the 16th to the 18th centuries”, stating that “the court must not lose sight of the fact that it is deciding the law for the 21st century. We have to develop a body of law which is well-suited to the conditions of the present day”. Lord Sumption’s dissenting judgment expanded on this point, stating that the courts have far more power to prevent abuse of process today than they had previously, adding that to recognise malicious prosecution in the way suggested would circumvent the “careful and principled limits that the courts have imposed on the tort of abuse of civil process”. As to the arguments concerning the undesirability of triggering ‘satellite’ litigation, Lord Toulson stated that whilst there was indeed a public interest in finality, an action for malicious prosecution does not undermine the outcome of the first proceedings. On the point about a potential ‘chilling effect’, the majority of the court was of the view that the extension of the tort would not deter those with valid claims. The court has held that malicious prosecution of civil proceedings between private individuals is actionable in English law. In order to make out such a claim, the claimant must show both that the proceedings brought against her were (i) devoid of reasonable and probable cause; and (ii) malicious. As Lord Toulson pointed out, this is undoubtedly a “heavy burden”. Whether or not this decision will give rise to an increase in so-called ‘satellite litigation’ remains to be seen. It will be less easy to determine whether it will have a ‘chilling effect’ on the number of claims brought. From the perspective of a maliciously prosecuted defendant however, this decision now gives her recourse to compensation and will undoubtedly be viewed as a positive step. Leave a reply on "Case Comment: Willers v Joyce & Anor (in substitution for and in their capacity as executors of Albert Gubay (deceased)) (1)  UKSC 43"